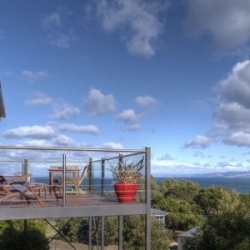 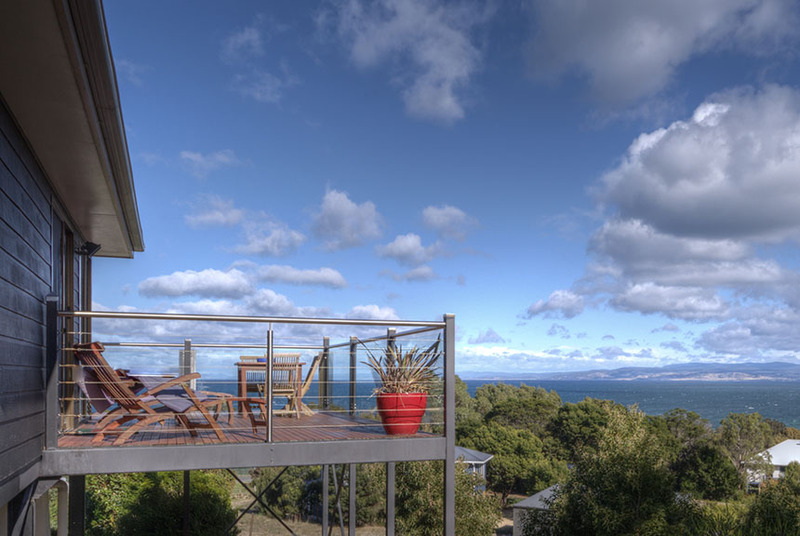 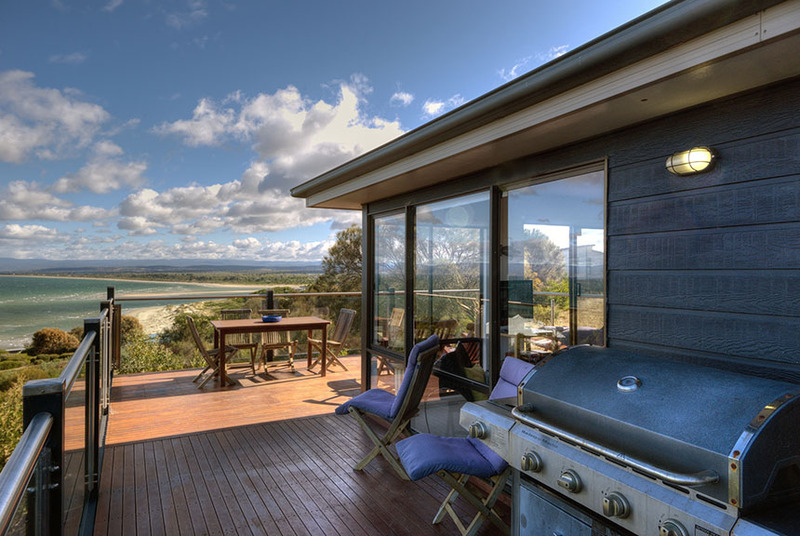 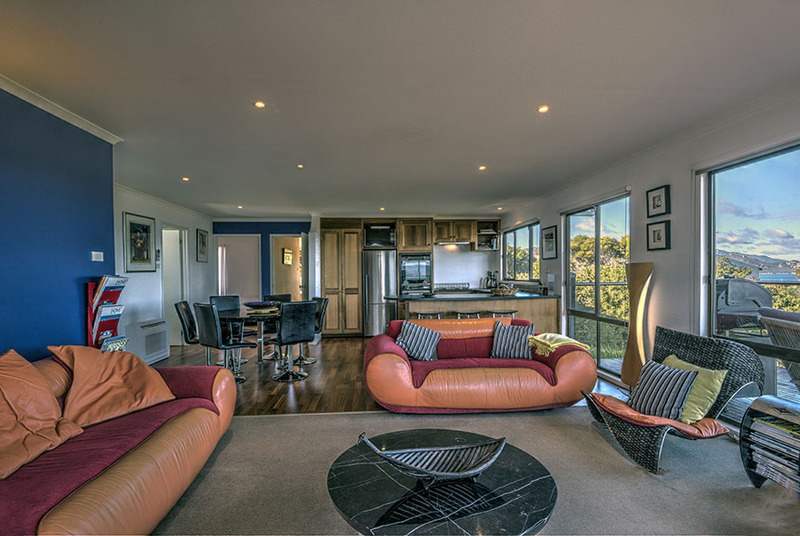 Perched high on a hill overlooking the Great Oyster Bay is “Aperture”, a holiday house with stunning 270 degree ocean views and an amazing outdoor entertainment deck. 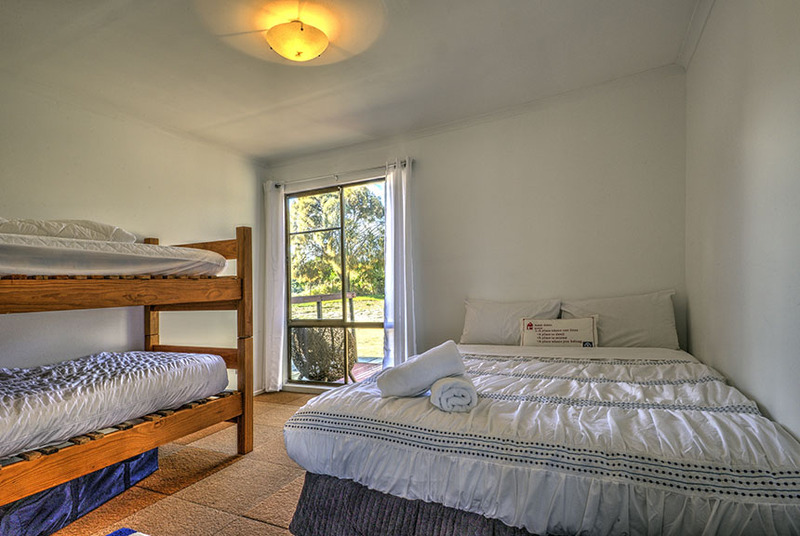 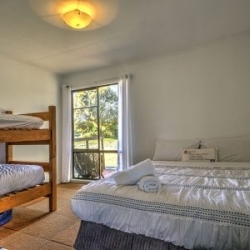 This holiday house has everything you need for an enjoyable and relaxing stay. 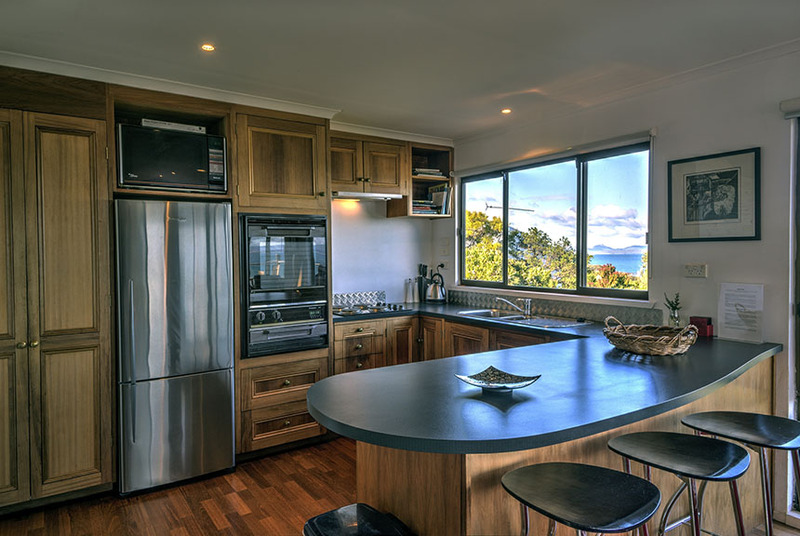 Aperture has a spacious and open plan kitchen, dining and lounge area, coupled with abundant windows and glass balustrading where you can take in the views from most of the house. 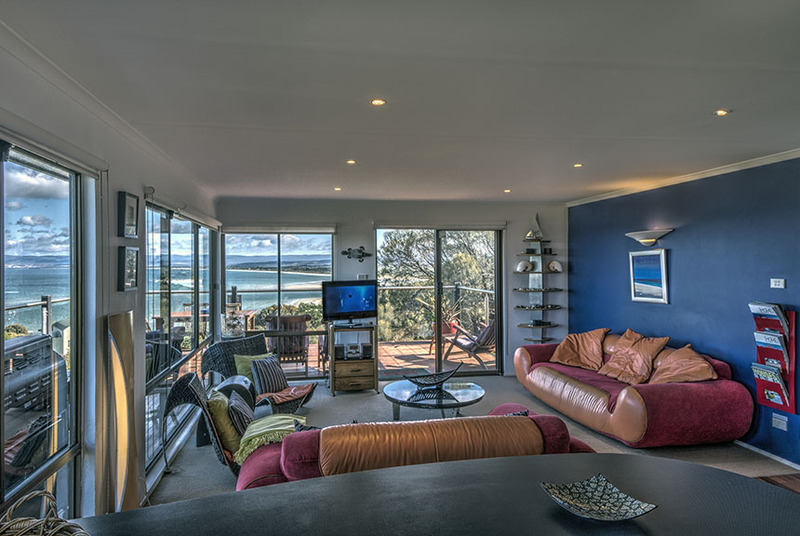 Perfect for couples, friends and families, this holiday house has a games room, set with a pool table. 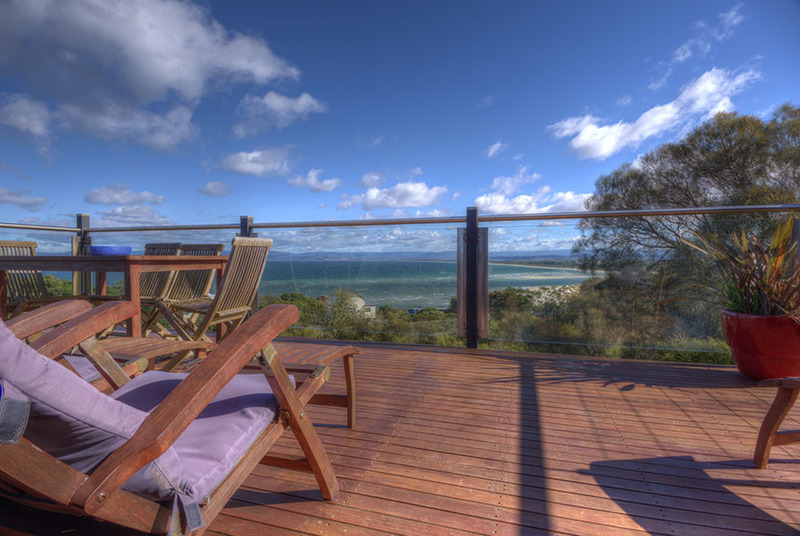 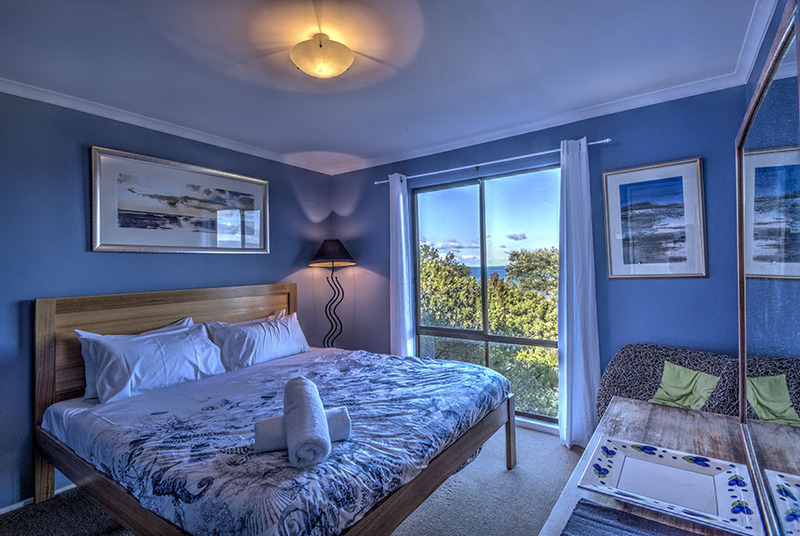 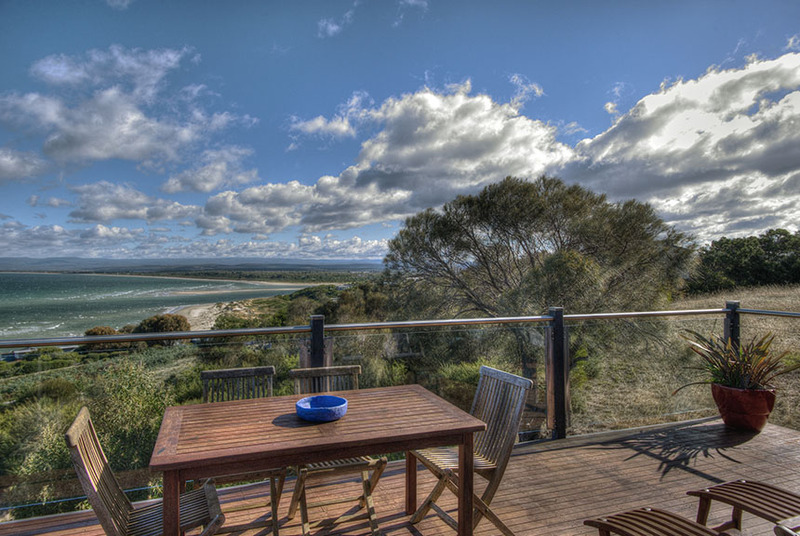 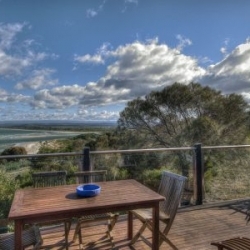 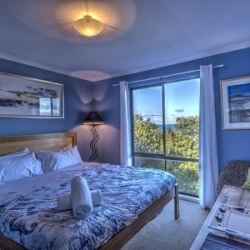 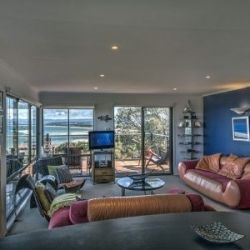 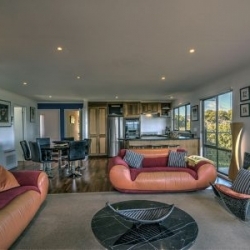 Located a short walk to pristine beaches and a short drive to the Wineglass Bay car park. 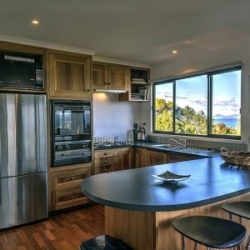 This property has 3 bedrooms, one bathroom and plenty of parking space. 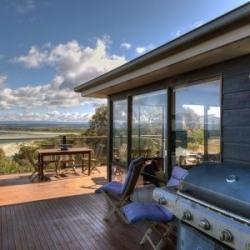 The kitchen is well equipped for everything you may need for in-house dining or a BBQ al fresco dining experience.